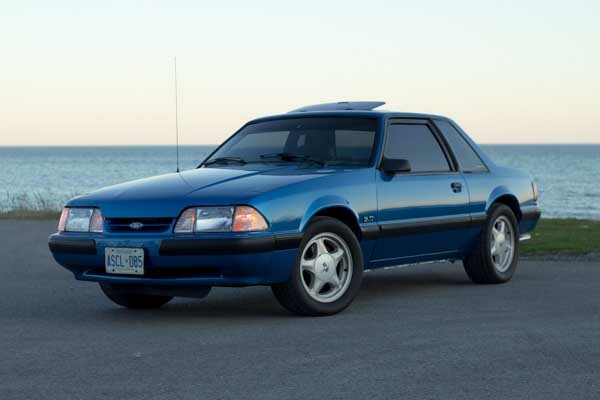 Automatic Ford Mustang with 18 inch wheels, power windows, airbags (front and side), blue on the outside, black interior. Ford Mustang blue coupe, black on the inside with ABS and USB. 19″ wheels. Imported spec 2015 Ford featuring navigation system, ABS, MP3 interface. Red with black interior. Automatic Ford Mustang with 19 inch wheels, premium paint, sport suspension, black on the outside, black interior. Reduced price! White Ford Mustang 2018, 1,609/month with Zero% Down Payment, 1 Year Unlimited Kilometers Warranty from 2018 with black interior. 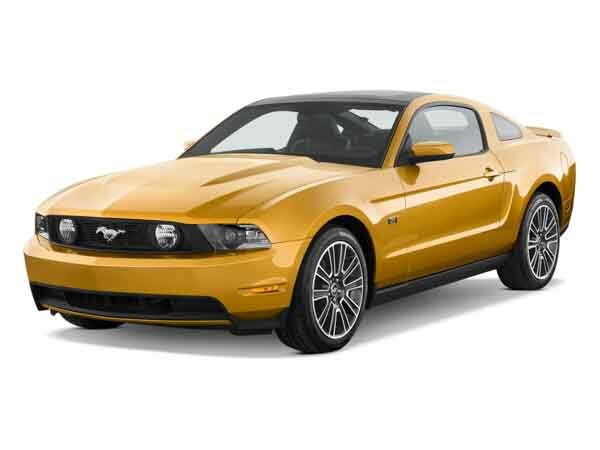 2013 Ford Mustang with features such as tuner/radio, premium sound system, MP3 interface. It has brown interior and is Black. GCC spec. 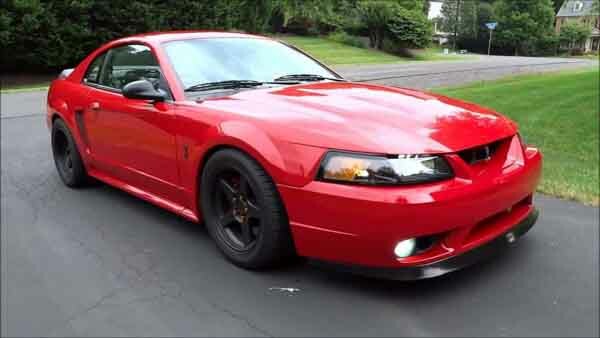 Manual GCC spec Ford Mustang with 18 inch wheels, power windows, airbags (front and side), black interior, red exterior. Imported spec 2000 Ford Mustang, 6 cylinders, white convertible with beige interior. It comes with power locks and rear wheel drive. 2017 Ford with tuner/radio, bluetooth system, rear wheel drive. Grey/Silver with black interior. Imported spec Mustang from 2017 for AED 65,000 with a 4 cylinder engine. Black coupe with white interior. It has CD player and power locks. Imported spec 2015 Ford with Airbags (front and side), 18″ wheels and Tuner/radio. Price reduced! Imported spec 2016 Ford Mustang, white coupe with brown interior. It features bluetooth system, 19 inch wheels and traction control. Black 2014 6 cylinder coupe. Price AED 41,000. Tan interior. It has CD player and air conditioning. Imported spec 2015 Ford featuring airbags (front and side), CD player, power windows. Blue with brown interior. Automatic 2014 Ford Mustang with 17 inch wheels, leather seats, rear wheel drive, red interior, white exterior. Imported spec. Opportunity! A 2014 black Ford Mustang GT now available at a reduced price. Sultan - Got myself a pre-owned V6 Ford Mustang convertible a year or so ago, and it’s a great car for the UAE. In the summer I can put the roof up and chill out with the A/C on full blast and during the winter I can put it down and soak up all the beautiful weather we have here. Pros: Looks good and has decent options. Cons: Even with a V6 fuel economy isn’t good. Kamran - I wanted to buy something powerful, has good looks and is available at a good price. I found out about the Shelby GT500 Coupe, I had to export a second hand one from the States to Dubai as they are never up for sale, and I can see why. It’s an absolutely phenomenal machine. The noise it creates and the manual transmission is the best part. Pros: Manual transmission and power. Cons: Hard to find in the UAE. Emad - My import used Ford Mustang GT 5.0 is incredible, the noise it makes is just amazing and attracts attention everywhere you go. I’m tempted to buy a new exhaust system to maximise the sound. 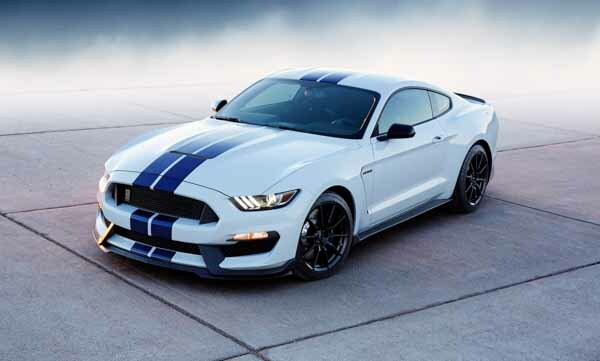 And now that the Shelby GT350 is coming, I can’t wait to get my hands on it! It’s an iconic and legendary nameplate with a reasonable price tag. Over the years a V8 and a V6 has been available with the latest models now available with an inline four cylinder motor for better fuel economy. If you are buying yourself an older generation version, be prepared for a lot of pictures as these cars are a rare site. You can buy one as a coupe or convertible. If you feel the Mustang may be down on power, you can get yourself a Roush or Saleen version and if that isn’t enough, Hennessey can increase your output to a whopping 850 horsepower. First launched in 1965 as a ‘pony car’, when it hit the road for the first time, the cars sparked a massive outbreak in the American auto industry as consumers just couldn’t get enough of them. It also caught the attention of Dodge and Chevrolet manufacturers who introduced their very own muscle cars. For over half a century, the American Rivals have been trading the top step in the segment, but one name always stands out: Ford Mustang. Mustangs don’t just have a rich heritage on the road; they have a strong racing background too. With multiple wins across top American racing scenes like NASCAR and the NHRA, they also have success overseas. Even though the Mustang has been around for over 50 years, we’ll just briefly go over the classic models including the not so fantastic versions. As previously mentioned, this was the first generation of the iconic vehicle and compared to features in today's standard even top trim levels. Four seats were standard as well as manual locking and manual wind down windows. High-level trims include manually operated leather seats and very rarely a tuner radio. 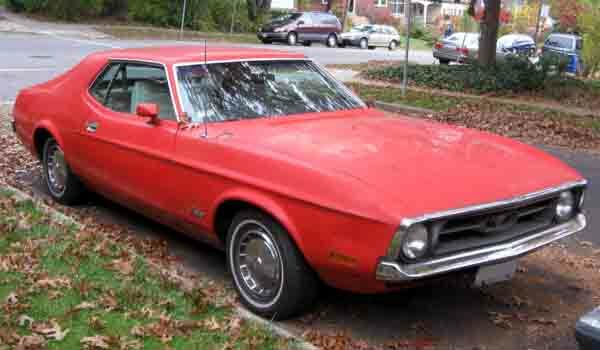 Mustangs of this generation are available as a coupe or convertible. 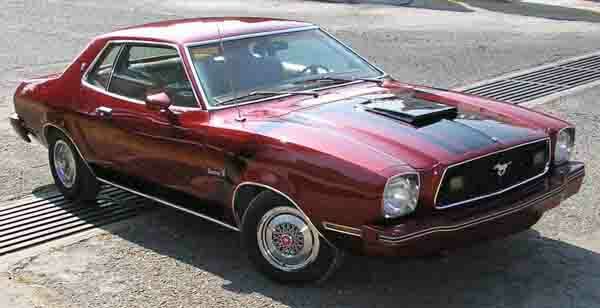 Trims include; Mach 1, Boss 302 and Boss 429 are amongst many others. Towards the end of the generation, minor refreshes were visible including a wider front end which appeared more open and minor changes everywhere else. Power is sent to the rear wheels via either a manual or automatic transmission. Over the years many iterations of the V8 and inline-six cylinder motors are available. Over the years, the engine was tweaked and tinkered with higher output. Looking to buy used Ford Mustang in Dubai, UAE this generation? Prices start at AED 45,000. Entering its second generation, the Mustang II was launched during rough times as two months later; the 1973 Oil Crisis struck the world. Not just that, Japan’s Toyota Celica and Europe’s Ford Capri both started gaining momentum taking sales away from the Pony Car. Exterior wise, this generation was smaller than before but weighed more as more equipment had to be added to adhere to new rules and regulations around the world. Sticking with a rear wheel setup, an inline four cylinder motor was added to the mix alongside the V6 and V8 power units mated to either an automatic or manual transmission. Ford engineers worked hard on tweaking all returning engines to have a lower fuel consumption. Trim levels through this generation include Mach 1, Ghia, Stallion, King Cobra, Cobra II and a handful of others. All were available in coupe and convertible body styles. When the third generation rolled in, the American giant had two distinct front ends customers could attach and a Boxy appearance. During the early years, models had four headlights and are most commonly referred to by enthusiasts as “four eyes”. In the last few years, these lights were replaced by a smoother unit. Four passengers can fit inside, and although the rear end decreased in size from previous generations, rear occupants can still fit comfortably. Throughout the year's body styles include convertible and coupe all available in a multitude of trims: L, GL, GLX, LX, GT, GTS, Turbo GT, GT-350, SVO, Cobra, Cobra R and Ghia. All had distinct characteristics to tell each one apart; various engines hid under the bonnet ranging from an inline four to a V6 with different displacements and of course the legendary 5.0 V8. Power is exclusive to the rear wheel by a selection of gearboxes, 4 or 5-speed manual or 3 and 4-speed automatic shifters. Towards the end of the generation, Ford was in talks with Mazda to possibly create their very own variant of the Mazda MX-6. However, loyal fans of the pony car weren't happy about this and wrote angry letters to the brand about the proposed vehicle with no V8 option and a front-wheel drive platform. Ford listened to the outcry and changed the proposed model to the Ford Probe. Out with the boxy shape and in with a sleeker, more refined body with visible curves. 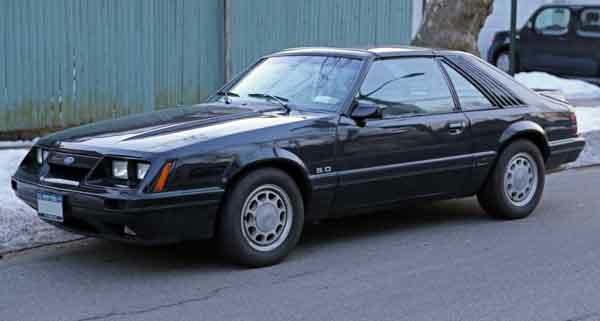 The fourth generation of Mustang’s once again stayed with the rear wheel drive setup and a multitude of engines except the inline four which was dropped. Coupe and convertible styles once again returned for a few more years. In 1999, Ford redesigned the exterior giving the icon larger wheel arches and extra lines. Inside, everything remained identical, including the engines. 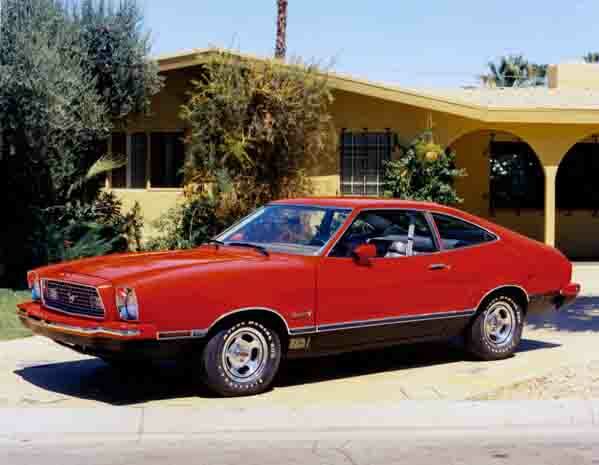 As with previous generations, these years saw a handful of trims including Cobra, Bullitt and Mach 1. During this generation, Ford Racing Australia stripped out the V10 of an F-Series truck and dropped it in place of a V8 or V6 that the Mustang usually had. Only one was built and was for promotional purposes only. 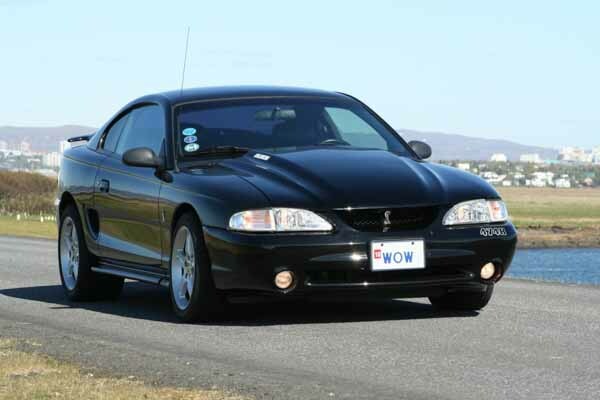 If you are looking to buy a second hand Ford Mustang in Dubai, UAE, prices start at AED 8,500. Now entering its fifth generation, designers revamped the legendary pony car giving it a whole new look inside and out. With a larger presence and bulkier appearance, the Mustang continued to rule supreme with V6 and V8 motors powering the rear wheels mated to either automatic or manual transmissions. Various options are available both inside and out. Fabric seats came as standard along with a CD Player, Radio Tuner, essential powered accessories, bulb lights. Optional extras include leather seats, advanced powered accessories, rear parking sensors, reverse camera, premium sound system, media inputs, round foglights mounted in the grille and LED lights. Once again a multitude of trims are available; GT, Bullitt, California Special, GT 500, Shelby GT, 45th anniversary amongst many others. Available in both coupe and convertible forms, various engines are dropped in with varying outputs. 2010 saw the vehicle receive a tighter front end along with new headlights and reworked rear end. Trim options, engines and transmissions remained identical to the years before. A host of editions was launched time on top of retaining previous versions. This includes; Boss 302, Laguna Seca, Cobra Jet and U.S. Air Force Thunderbirds Edition. 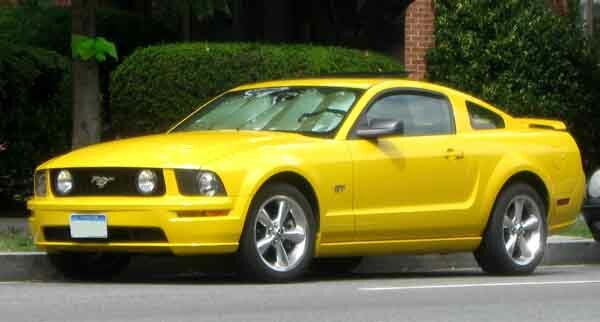 Prices for a used Ford Mustang for sale in Dubai, UAE in this generation start at AED 26,000. After the final 2014 model rolled out of the factory, Ford immediately went to work on the sixth generation. Now sporting a much smaller and curvaceous body, the front end features a tighter front end with redesigned headlights, increased lines running down either side and a reworked rear end that still gives a shark like feel. Although it appears smaller in comparison, current generation models measure 3.8 cms in width. They also sit 3.5 cms closer to the ground. 2015 saw the re-introduction of the four-cylinder motor with a 2.3-litre displacement. 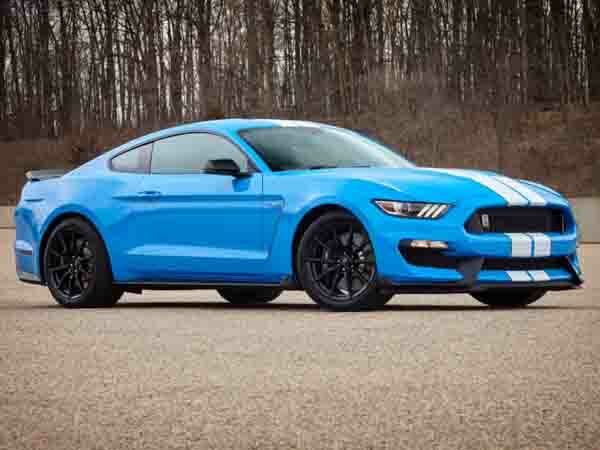 Aided by the company’s EcoBoost system, it proved to be an engine worthy of powering the rear wheels of an icon. Of course, both the V6 and V8 are available mated to an automatic gearbox or manual for those who want more control. Standard and optional features all transitioned across into the latest generation along with new options to rival other new age muscle cars. This includes navigation, Bluetooth connectivity, keyless start and cooled seats. These models were the first to be equipped with independent rear suspension. In true Mustang passion, these models are also available in coupe and convertible body types. Additionally many editions of the Coupe exist including; F-35 Lighting II, 50 years Limited, Warrior, Shelby GT350R and the upcoming GT500. 2018 models are expected to receive a light fresh that not only includes a reworked front end inclusive of the grille and the bumper, but the lights at both ends are also set to change ever so slightly as is the back bumper. A 10-speed automatic gearbox is to make it's debut inside the pony car, bringing the fight right back to the Camaro as they too have announced a similar gearbox. Interior options are said to receive a boost as well. Sixth generation models will set you back AED 71,000.